Spend Matters research has long considered Hackett Group metrics to be the gold standard of P2P benchmarking. 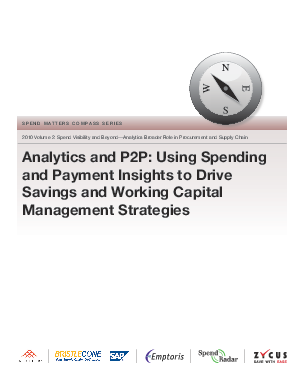 As part of the collaboration for the research for this report, Hackett agreed to share with Spend Matters some of the findings from its latest P2P benchmarks. By taking into consideration Hackett’s findings and analyses—and going through such a benchmarking process with Hackett directly—procurement and finance organizations will not only understand where the best places to focus their efforts are, but what the expected impact of new programs will be based on similar outcomes in peer organizations.